Barracuda Red Sea is available for charter in the East Mediterranean. The Barracuda Red Sea sleeps up to 13 guests in six staterooms including a master suite and features a Jacuzzi on the sky deck. Entertainment space on the upper and main decks provides endless possibilities for leisure, fun and relaxation. On the sky deck, there’s a large hot tub and space for guests, bar and dining area, making it the ideal to enjoy in good weather and stunning views. 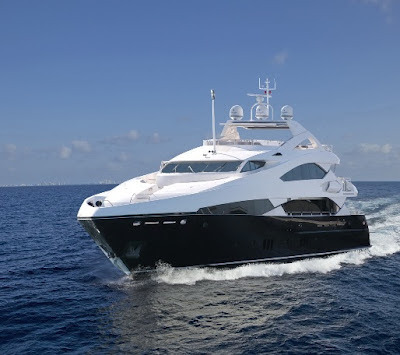 The Barracuda Red Sea offers a level and style of luxury such as ingenious layout and deluxe features. She has an excellent crew of 7 , 2 Yamaha Wave Runners ,19ft. Nautica Jet tender and lots of toys for her guests.